For as long as I can remember Thomas plays the same game with the kids at the beach. 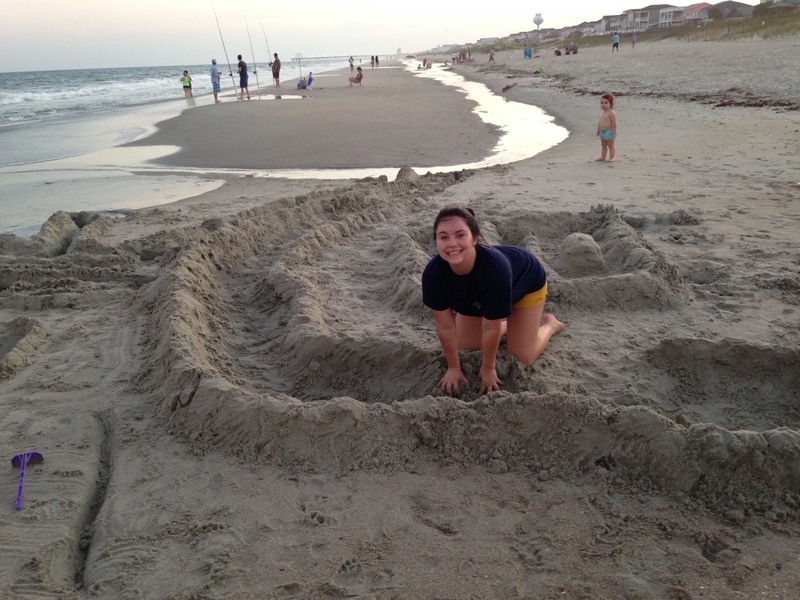 They build a sand castle , they create walls around it, moats and towers . Sometimes there is seaweed to adorn the corners, maybe shells . The point of this game is to work as hard as you can to build a structure that the tide doesn’t take down. 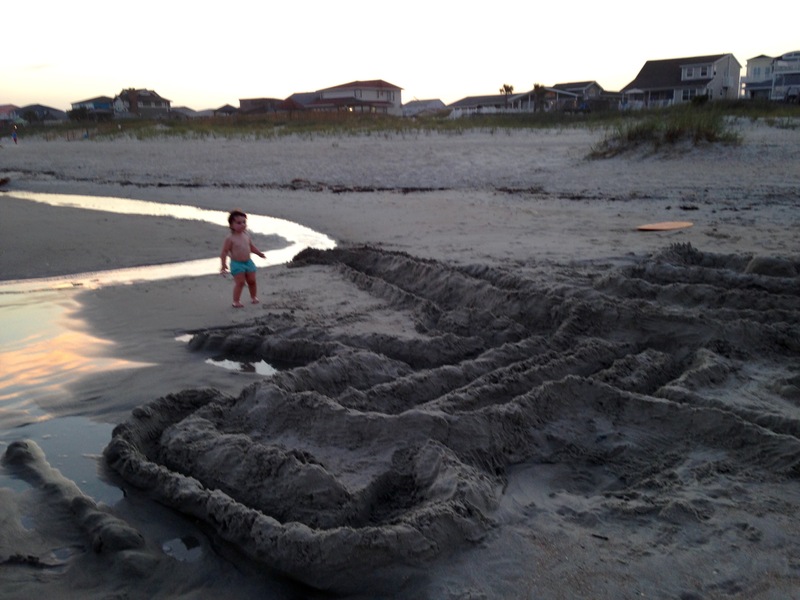 The kids run around like engineers calling out -we have a breach on the front wall!! And then they build it back up. Sometimes , the tide is too strong, or the castle has been built to close to the sea, and we lose it altogether. I never knew how big a deal, how important a memory this was , until this year. 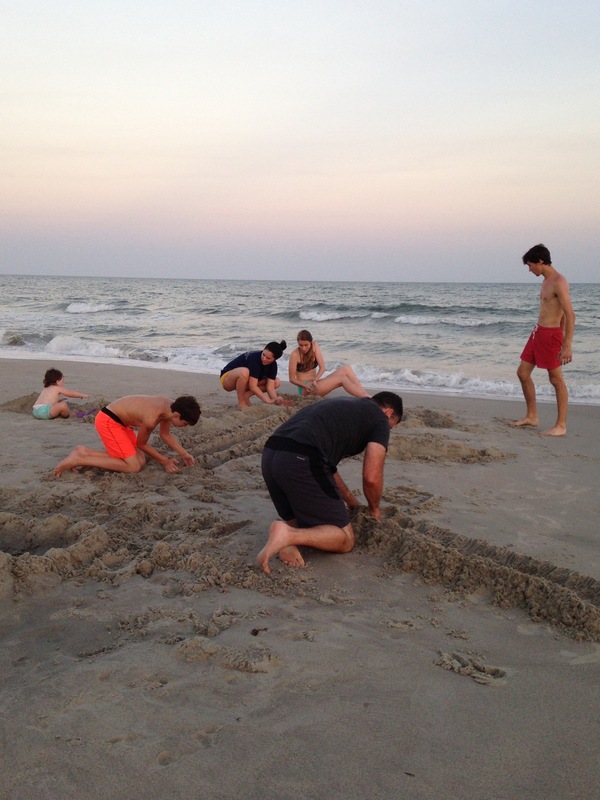 Man child suggested we go down one evening and build… They threw themselves into the sand castle like it was the most important thing in the world. Everyone doing their own jobs. And this year we introduced the newest member of the family to our tradition. We will build you , we will guide you, and support you, adding the wet sand of love and strength to your structure until you are strong enough to stand on your own. A beautiful creation , to be marveled at. And when the tide comes in , and it will , without fail, and it threatens to tear you down, wash you away, we will be there to support your walls. We will help you repair the breaches , and rebuild when neccessary. I could have never known 20 years ago , when Thomas started this tradition , what exactly it would mean to me. One more reason I adore him. So hear this: I love you. I see you. I hear you. I trust you. I am proud of you. I like to hug you, and sing with you, and eat with you. You’re 15 and I can’t even believe it. They told me time flies, but I only closed my eyes for a second, and here we are. Pig tails and hair bows have given way to eyeliner and curls. And that’s ok. Watching you grow every day is my greatest joy. It’s not easy figuring out who you are going to be, and if it takes a little time, well that’s alright with me. I love you Belle. If you couldn’t tell. Long legs and beautiful smiles, laughter , and kindness , courage and love. Most of all love. These are my birthday wishes for you. Simplify, cut back , say no to the mediocre in my life , to make space for the extraordinary in my life. the things I love… Say yes to more time with the people I love. Yes to…. To be in love, and to give love…. Love. The kind that makes you weak in the knees, makes you forget that you are mad, or right, or poor, or rich…. The kind that remembers your first date, and your last kiss. Summer is a party for the earth. A celebration for creation. When you are sad, or worried, or stressed out by the dailies…it’s hard to engage in everything that summer has to offer. I’ve been guilty of this, and I want OUT ! Out of my head, and into my heart. So, I write. I put my head down and I let words emerge without a thought of what the conclusion of my thoughts might be. Sometimes it’s me, and other times, it’s clearly Jesus. So here goes….my path out of my head, and into my heart. Love bears all things, Love bears all things…..
Love takes a beating, it’s worth repeating, again, and again. Isaiah’s birthday was yesterday. I know, I’m a day late. It’s been that kind of week. Better later than never. I looked back over the past several years worth of blogs on here, and I realized that what I have been doing is writing a tribute to each kid on their birthday. It’s a fine idea, but I am committing to write tributes to them more often, and not just on special occasions. And so onto todays tribute. Isaiah. What can be said that hasn’t been said before ? You are spectacular. This year I learned that you are a GREAT dancer, one might even call you a …romancer. This year I learned that you care when someone is suffering, and that you know how to intercede and pray. I covet your prayers, and I treasure them. This year I saw you do things that took such strength, and I was reminded about your spirit man. That he is massive, that he is a roaring lion. When you close your eyes, and I see that fringe of eyelash, that is so thick it looks like fur…. and I say to myself…I recognize you little lion boy. I love you. I admire you. I bless your spirit with the kind of joy that makes you strong, and the kind of peace that does not come from this world, but from deep inside. Happy Birthday . stretched to the limit with too much give. Is there a happy medium ? I would like to say – since going back to work, but that would not be accurate. So, I will say, since becoming a mother, my heartstrings are always out of whack. Or out of tune, or maybe that’s the way they are supposed to sound. I’m home today. Isaiah had his fifth ear surgery, I’m so grateful that it’s only ear surgery, and I’m so pissed that it is still going on. This boy, this lion of mine, so strong, and still so young. 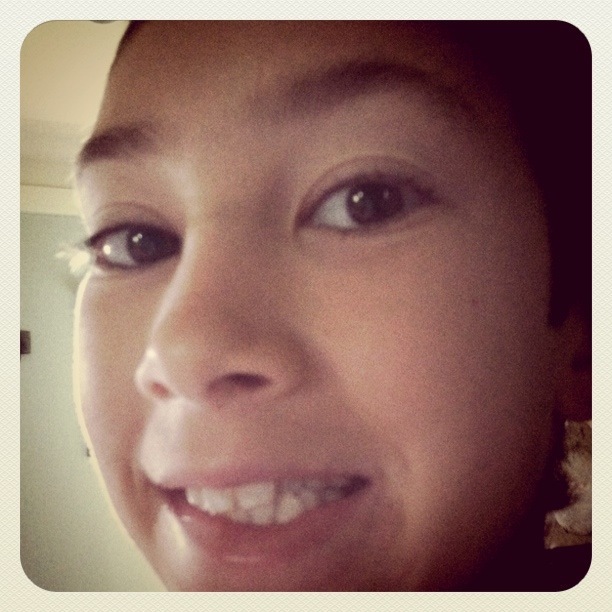 It is impossible that he is about to be Eleven. At this time of year in particular, I think of Mary. So young, and so strong. With heartstrings too. My hero. The task of raising a man is hard enough, but raising the KING OF THE WORLD, knowing that you would let him go, for love. Gets me every time. There are days when I am so confused, so heartbroken, so overwhelmed with all that we have on our plates. I hate those days, and I love those days. It’s on those days that Abba whispers….you were made for this. And so, my heartstrings play their song, a song that, at times does not seem melodious , or soothing , and that has yet to resolve the dissonance, but it is there, the song that my children respond to. It’s why they snuggle me, seek me out, reach for my hand. It’s the song. It can be sweet, out of tune and with clashing harmonies at times, but it is ours. We were made for this.